"Using your donations to change the lives of many"
Sponsor a child and/or a family with basic neccesities like food, clothing, and professional services like tutoring, summer camp, counseling, and much more. To give a monetary donation, please follow one of the following. 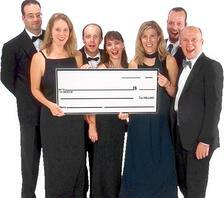 Mail a check payable to Kidz Empowerment Services. Please fill out our contact form and we will get in contact with you. For monetary donations please click the donate button. Let us know the value of the item for tax purposes and where do you want us to send you the receipt. Toy request, please fill out our contact form with the following information: parent name, kids name, age, email , phone number and home address.